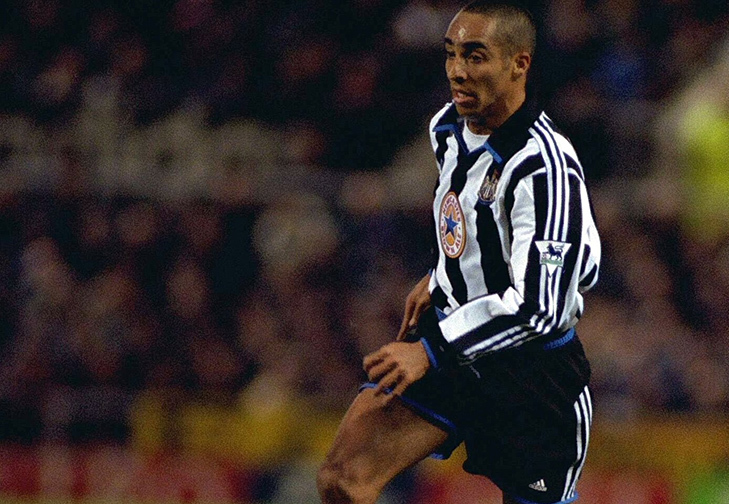 One of Mick Wadsworth’s fin de siècle plethora of unsuccessful South American signings, José Rodriguez Alves Antunes – better known as Fumaça or the first ever Brazilian non-footballer- arrived at Newcastle United in September 1999 by the circuitous route of Catuense, Colchester United, Barnsley and Crystal Palace. The midfielder had already failed to make an impression on Birmingham City, Watford or Derby County, and though he had been offered a contract at Grimsby, Cleethorpes evidently hadn’t done enough to make an impression upon him. Eventually signed by Colchester United, he played fourteen minutes of a televised Division Two game against Manchester City before being knocked unconscious by a visiting defender and spending the next two days in hospital. 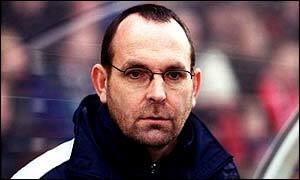 He never played again in Essex, Colchester manager Mick Wadsworth moving to Palace on a weekly contract as Steve Coppell’s assistant before taking on a permanent job under Sir Bobby Robson at St James’ Park. Wherever Wadsworth went, the nomadic Fumaça – once laughably touted as “the best non-capped Brazilian player” – followed. Think George and Lennie in Of Mice and Men, but with football agents standing in for that lynch mob in Weed. The highlight of Fumaça’s twenty days at Selhurst Park came when he lost a false tooth midgame, swiftly getting rid of the ball before stopping to look for it while play continued all around. At St James’ Park, his first appearance – characterised by “flashes of brilliance and moments of farce” – came in a 3-0 win over Barnsley Reserves watched by 1,100 people including Nolberto Solano, Steve Clark and Sir Bobby Robson. Two months later, and with Robson’s midfield ravaged by injuries and suspension, the Brazilian made his first team bow, blundering through an astonishing 81 minutes of a 2-1 home win over Spurs. Despite The Guardian’s report of the match likening his display to Ali Dia’s at Southampton, the hapless midfielder somehow managed another five first-team appearances, all as second half substitute. Aside from a 4-1 FA Cup Fourth Round victory over Sheffield United – in which the Brazilian ran in the opposite direction of the ball for the sum total of four minutes – Newcastle failed to win any of the games in which the Samba shambles appeared off the bench; by the time of his final inept cameo in a 2-2 home draw with Leeds United, the St James’ Park fans had cruelly dubbed him Formica for the sheer awfulness of his touch on the ball. As any further appearances would have triggered a transfer payment to Catuense, Fumaça mercifully sat out the club’s late-season fixtures and was released in June 2000, later surfacing – and unsurprisingly failing to impress – at Cambridge United. His departure from Tyneside was met with as little fanfare as his arrival had nine months previously. Nowadays, if he’s remembered at all, it’s with a mixture of mirth and wonderment that someone so obviously devoid of ability could have shared a dressing room with the likes of Alan Shearer, Robert Lee, Shay Given and Gary Speed. Fumaca himself returned to Catuense before embarking on a tour of lower league clubs in Brazil and Central Europe. Years later, and by then living in the Czech Republic, I saw him playing on TV for Moravian village team FK Drnovice. He was crap then, too. This entry was posted in The Samba Series and tagged newcastle united, samba series by The False Nine. Bookmark the permalink.